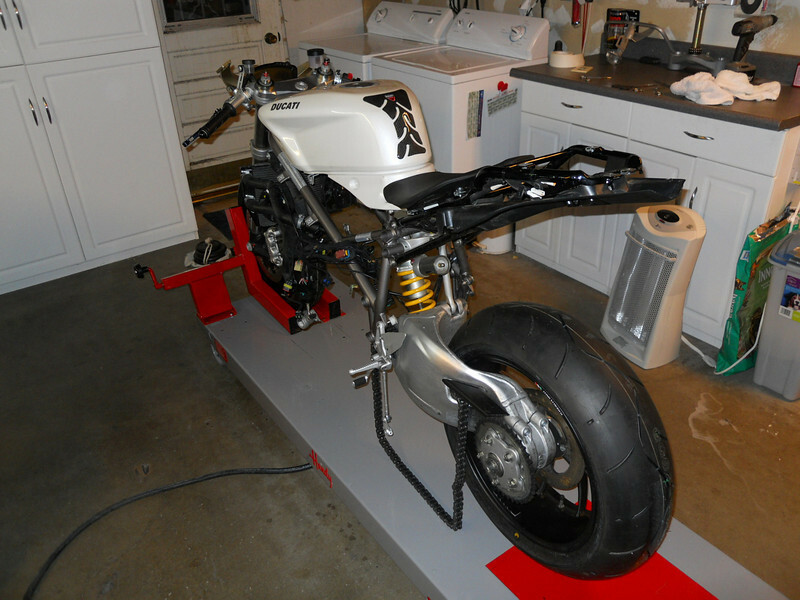 The first day the bike arrived in my garage - it was a stock 2010 Ducati 848 with cosmetic damage. ... It is the first week in January, 2010. The motor was pulled and the crank sent to Ben Fox for balancing as a single.